It’s important that all your Honda’s systems are functioning properly, but would you know for certain if they weren’t? While some signs of distress are obvious, some are subtler. If it’s been awhile since your Honda was last seen by a certified Honda technician, or if you’re just not certain that your Honda is performing as well as it could, Kamuela drivers should get in touch with the service centers at Big Island Honda for a Honda Safety Check. If your Honda vehicle needs an accurate inspection or diagnosis, heading to your neighborhood garage, or the service center at a mass-market retailer, is mistake number one. Unlike the mechanics at less qualified shops, the technicians at Big Island Honda have been trained by Honda to know every nut, bolt, belt, and panel on your vehicle. They know your car inside and out, and can expertly identify issues that the other guys simply won’t see. For a reliable safety check on your Honda vehicle, trust the skilled technicians at Big Island Honda’s Kailua Kona and Hilo service centers. If any problems are discovered during your vehicle’s Honda Safety Check, not only will our staff have the skills necessary to swiftly tend to each issue, they’ll use only genuine OEM Honda parts and fluids for all repairs and adjustments. Overall, OEM parts offer greater longevity and performance than aftermarket ones, as they’re designed according to specific brand standards. These materials are engineered by Honda to be a perfect match to the pieces used to construct your Honda at the factory. They will work exactly as designed, bringing you many years of reliable use from your Honda vehicle. Schedule a Honda Safety Check Today! Is it time for a Honda Safety Check to ensure your Honda vehicle is functioning properly? 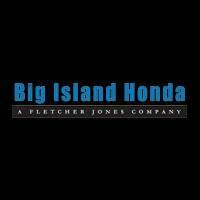 Then head to one of Big Island Honda’s service centers in Kailua Kona or Hilo! You can schedule a service appointment online at either location at your convenience. Our Hilo service center opens at 7:30 a.m. Monday through Saturday, and our Kailua Kona service center opens at 7:30 a.m. Monday through Friday.